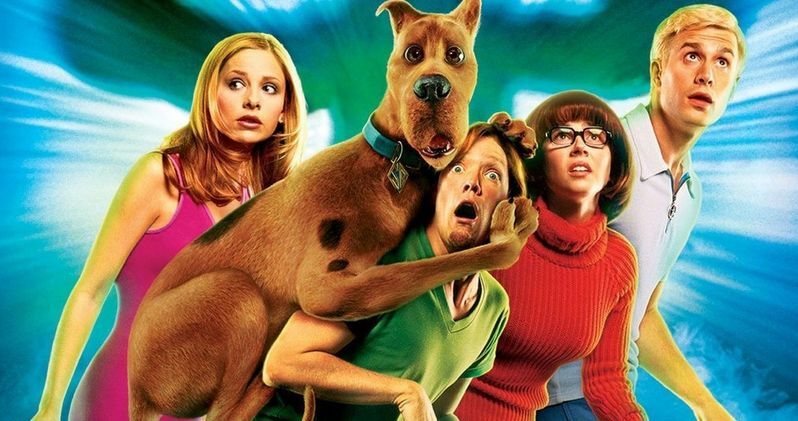 Guardians of the Galaxy director James Gunn confirmed the long standing rumors that 2002's Scooby Doo was originally intended to be a lot edgier than the movie we saw in theaters. Many don't realize that Gunn wrote the screenplay for the first Scooby-Doo live-action movie and that it was actually his first true studio project aside from writing the screenplay for Troma's Tromeo and Juliet in 1996. Gunn took to his Facebook page to share memories from his first studio break and also shed a little light on the rumors of a possible R-rating for Shaggy, Scooby, and the gang. Gunn wrote in his Facebook post that he was "excited at the prospect of making a live-action film" since he had loved Scooby-Doo since he was a kid. He even jokes about the "cutting edge CGI" in 2002. But the real takeaway is when Gunn starts talking about the project he had originally set out to make. Read what Gunn had to say below. "Yes, it was not exactly what we planned going out, I had written an edgier film geared toward older kids and adults, and the studio ended pushing it into an clean cut children's film. And, yes, the rumors are true, the first cut was rated R by the MPAA." Now that's an interesting idea and it's hard to believe that the studio actually went along with Gunn's initial plan, but it makes a lot of sense. There are definitely some racy moments in the movie and hints of more adult themes. Gunn went on to talk about how that "cutting edge CGI" from 2002 helped bring down the rating and the fun that he had making the movie. Gunn explains. "the female stars' cleavage was CGI'd away so as not to offend. But, you know, such is life. I had a lot of fun making this movie, regardless of all that. And I was also able to eat, buy a car, and a house because of it." Elsewhere in Gunn's post he recalls how much fun that the cast and crew had while making Scooby-Doo. Tales of late night Nerf battles and playing a game called Celebrity with a bunch of celebrities. In addition to the good things, Gunn remembers the critical reception to the movie. At that stage in his career Gunn admits to reading every little bit of press that movie received, even reading message boards. Gunn says this. "I remember being bummed out that the reviews were pretty terrible. These days I might glance at the occasional review (admittedly, mostly only good ones), but back then I read EVERY. SINGLE. ONE. I also read everything written about the movie online, by, like, anybody, including bulletin board folks. It was a kind of film-self-involvement I've learned to avoid since, but needless to say it was not an exceptionally good day." While Scooby-Doo was originally panned by critics, it went on to become a hit in the theaters, bringing in both adults and children. The movie made $18 million on its opening, which surprised Gunn and ended up changing his life forever. Gunn says this. "At about 5:30 Saturday morning opening weekend Lorenzo DiBonaventura, the head of production at Warners, and one of the people who gave me my start, called me and woke me up at home to tell me we made 18 million the Friday before. Now that doesn't seem to be all that much today, Guardians will make around that on a Thursday night alone, but back then it was enough to make the movie the biggest June opening ever." We might not even know Gunn's name right now had Scooby-Doo not been the commercial success that it was. Gunn went on to say that he was offered just about every movie imaginable after the success, something that Gunn does not take for granted. In the end, the R-rated version of Scooby-Doo might not have been the box office success that the PG-rated version became, but we'll never know for sure. Gunn went on to do the sequel as well and the rest is really history. Gunn is now one of the most respected directors inn Hollywood today and we (and Gunn) can thank Scooby-Doo for that. Read Gunn's entire post below.